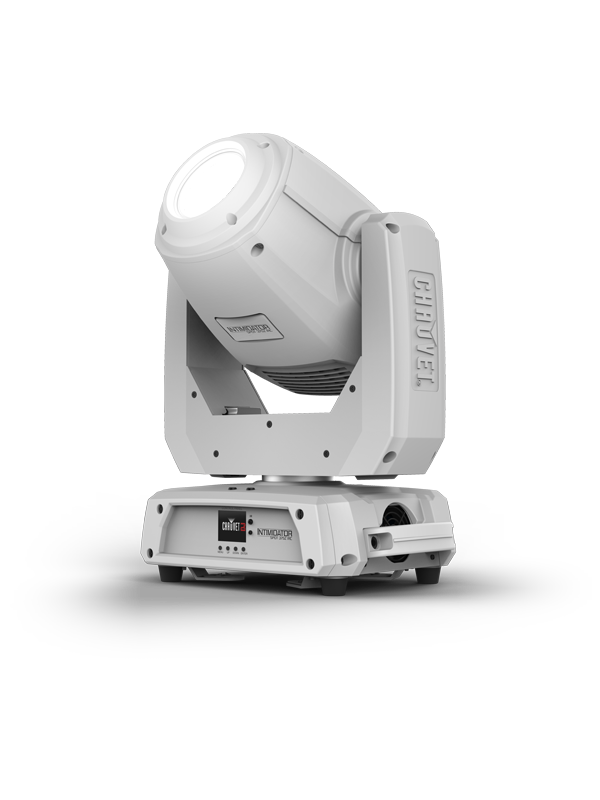 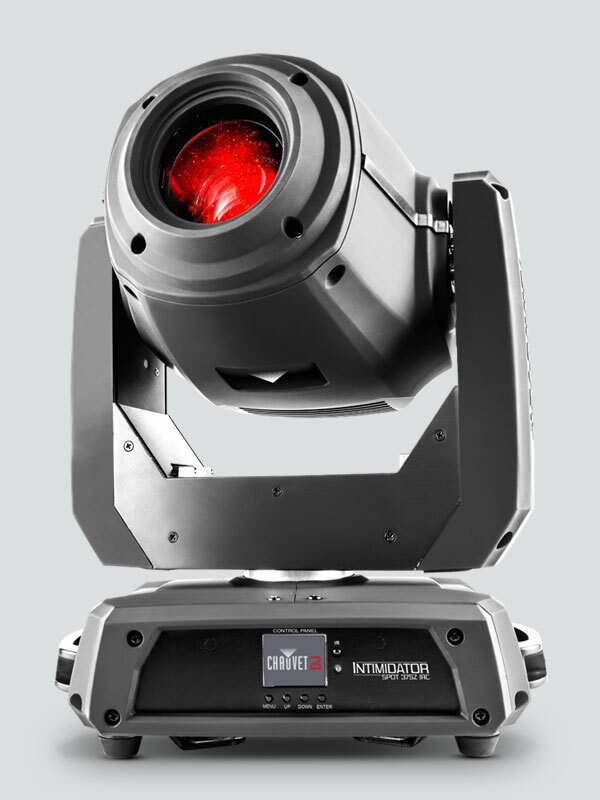 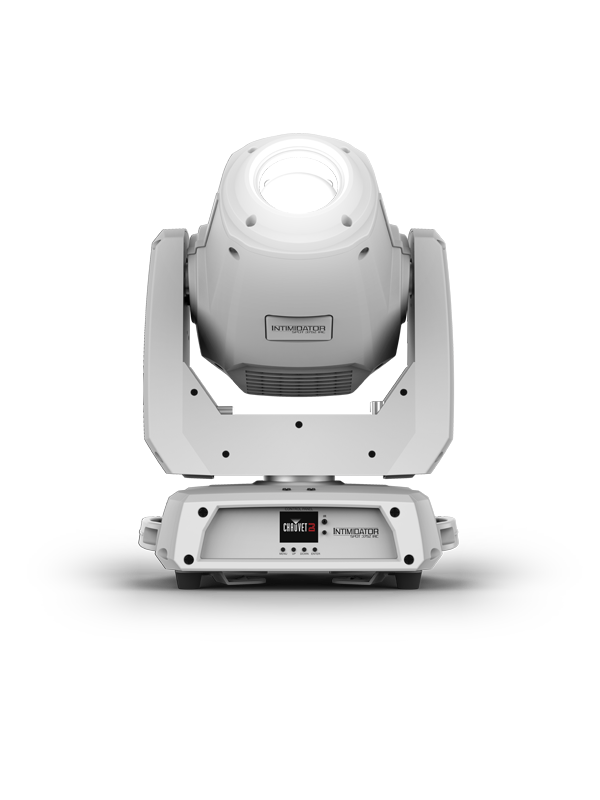 Intimidator Spot 375Z IRC is an exceptionally bright, 150 W LED moving head spot designed for large events. 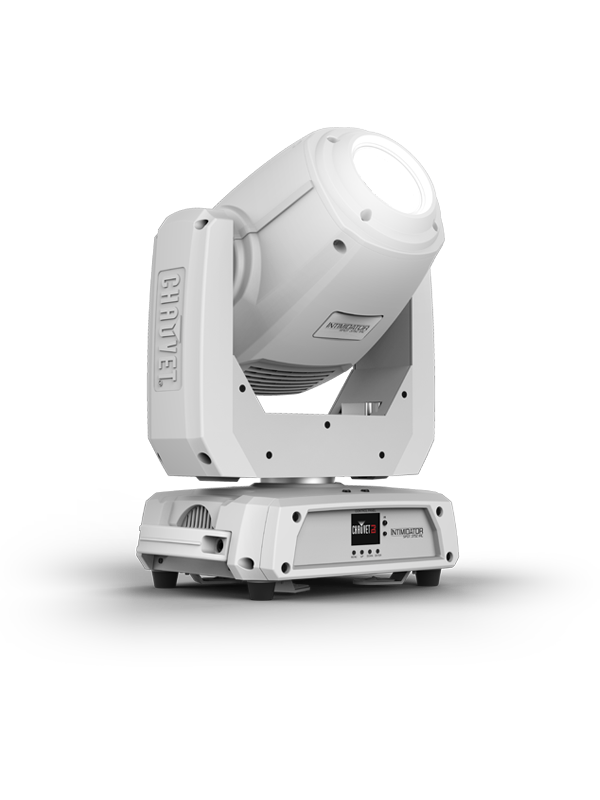 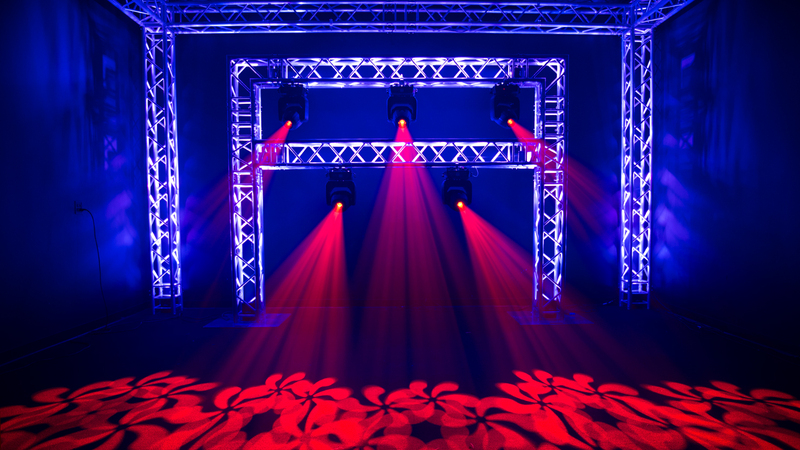 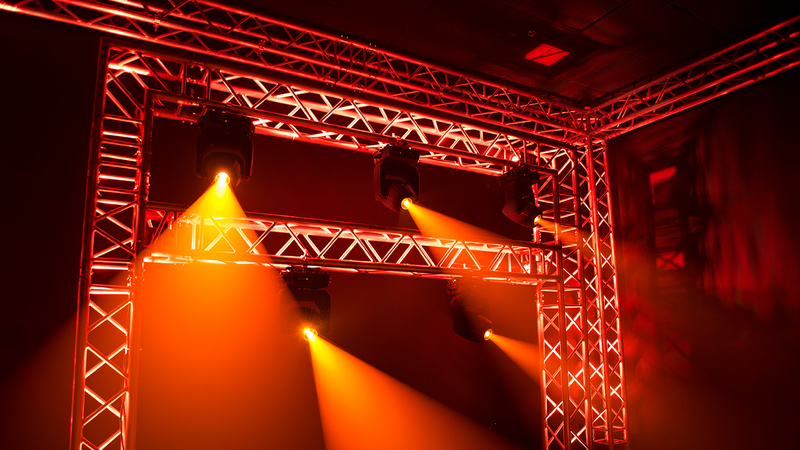 It features motorized zoom for short-throw or long-throw applications and dual rotating prisms split the beam for great effects and to cover a larger area. 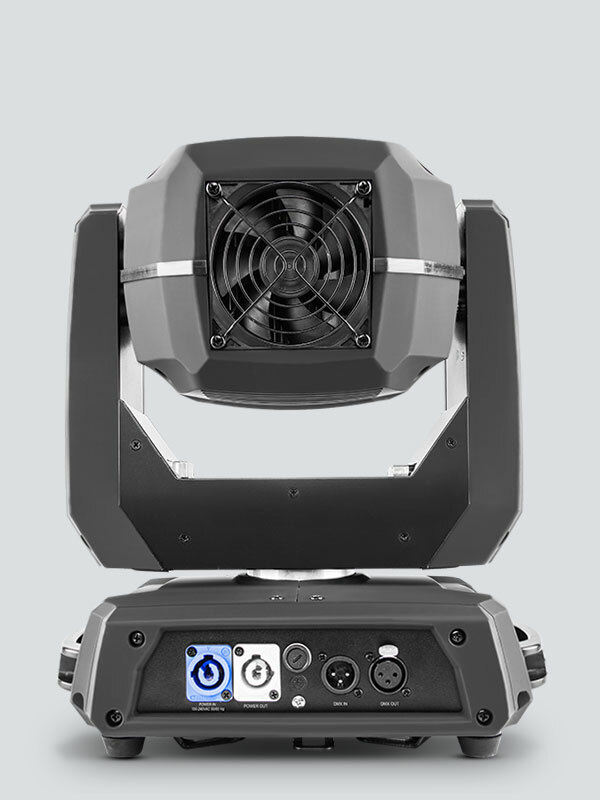 The motorized focus ensures crisp projections at almost any distance and the built-in Totem mode keeps the beams exactly where you want them. 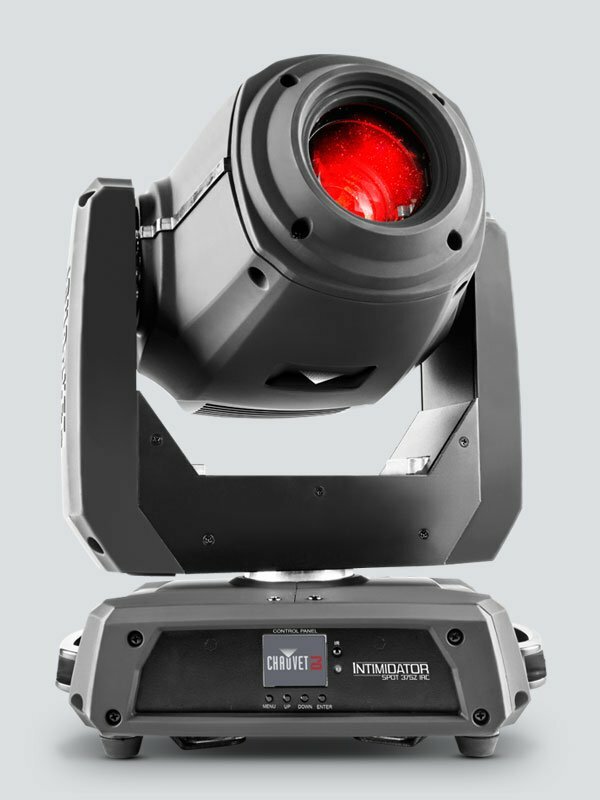 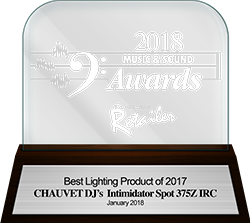 Intimidator Spot 375Z IRC includes built-in, automated and sound-activated programs or it can be controlled in DMX or Master/Slave mode. 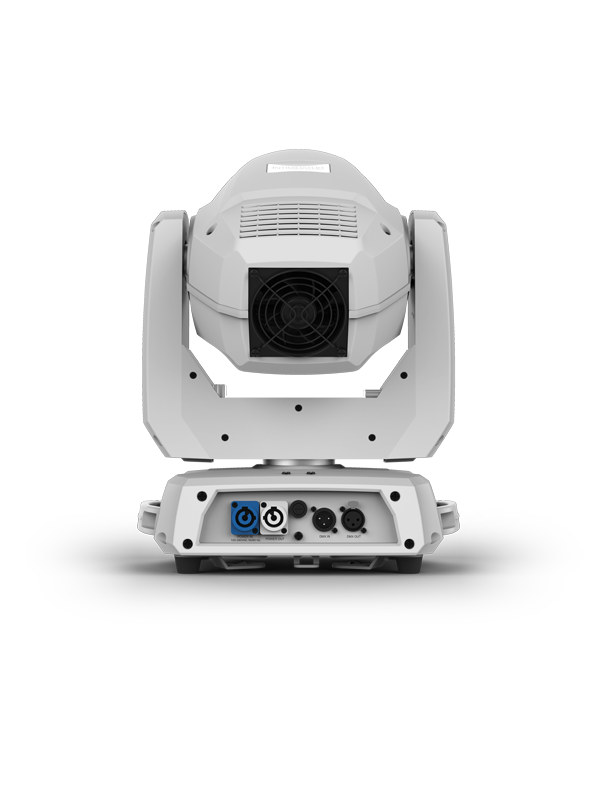 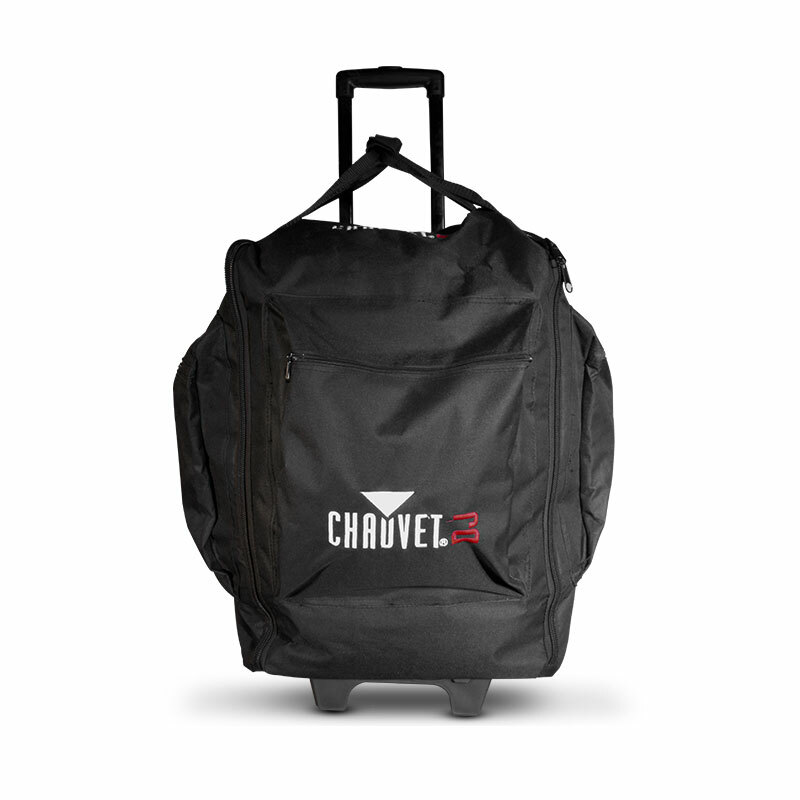 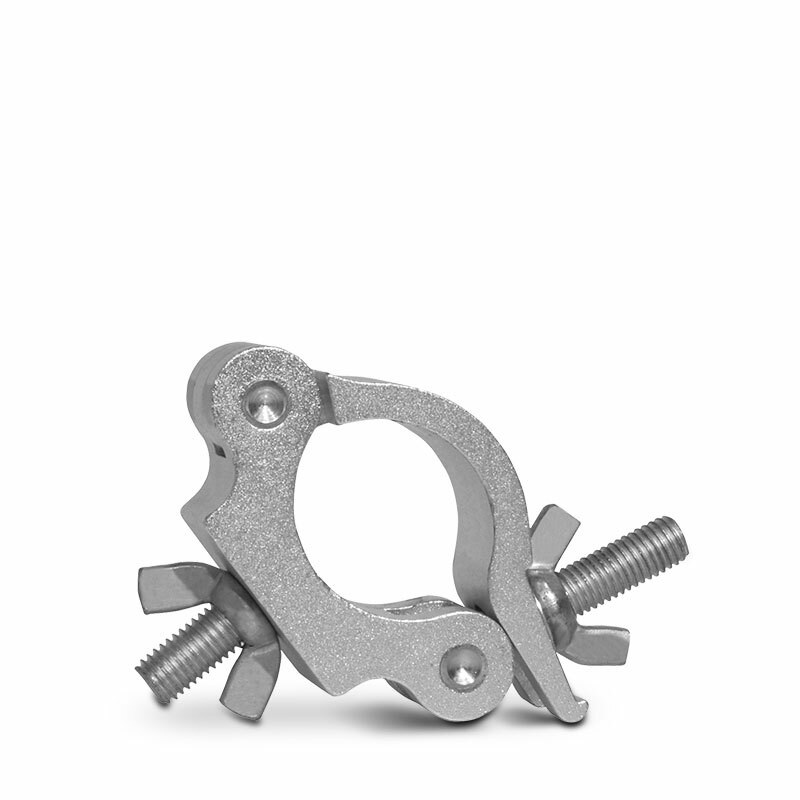 The powerCON®-compatible power input/output connections for power linking are also onboard. 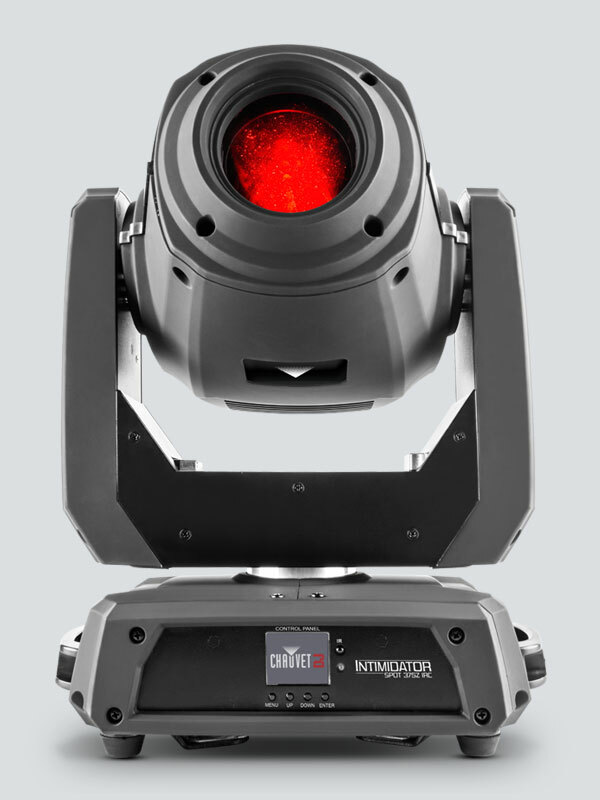 ONE OF THE BEST LED MOVING HEADS ON THE MARKET FOR THE MONEY. 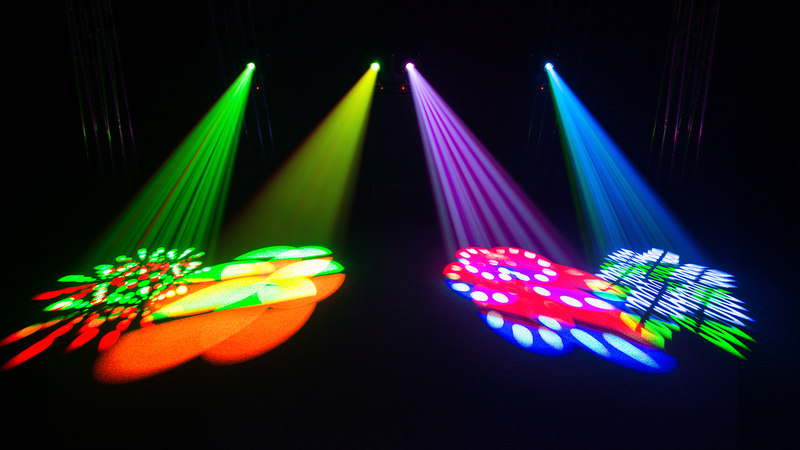 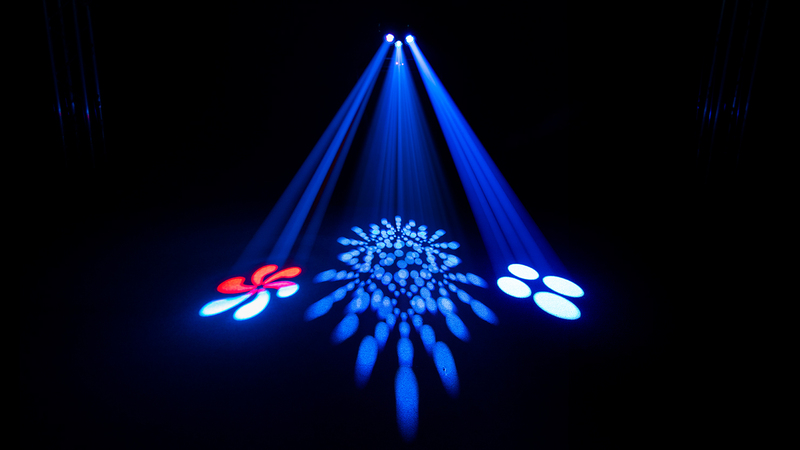 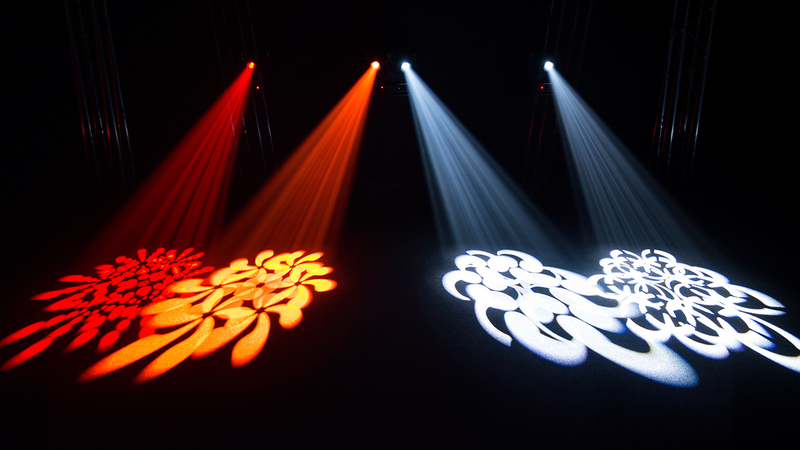 FEATURE PACKED WITH ROTATING GOBO WHEEL, 7 COLOR COLOR WHEEL, IRIS, PRISM BOTH 6 FACET ROUND & 5 FACET LINEAR. 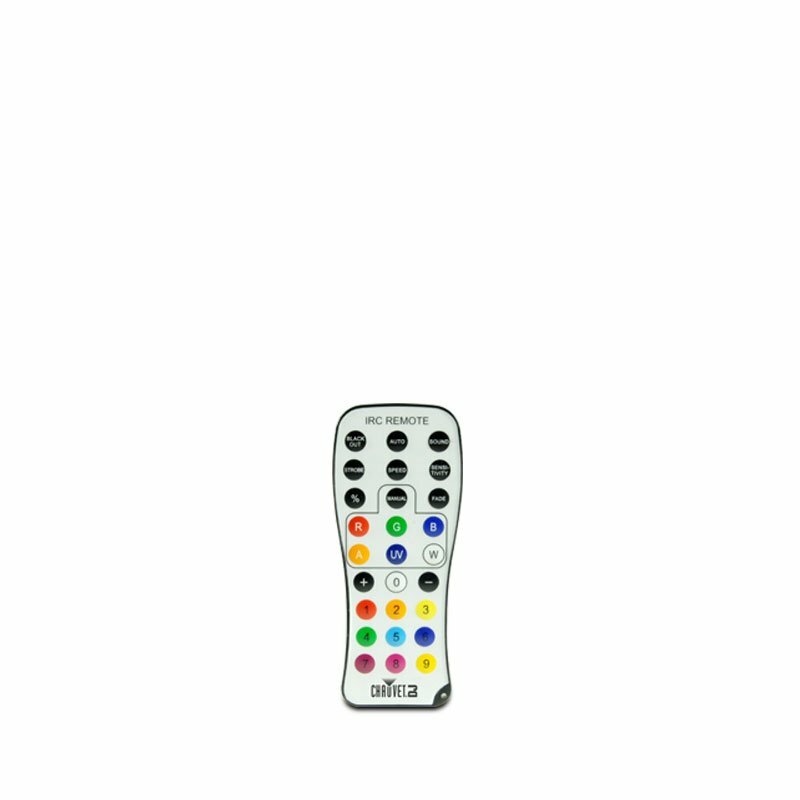 IT DOES NOT GET BETTER THAN THIS.